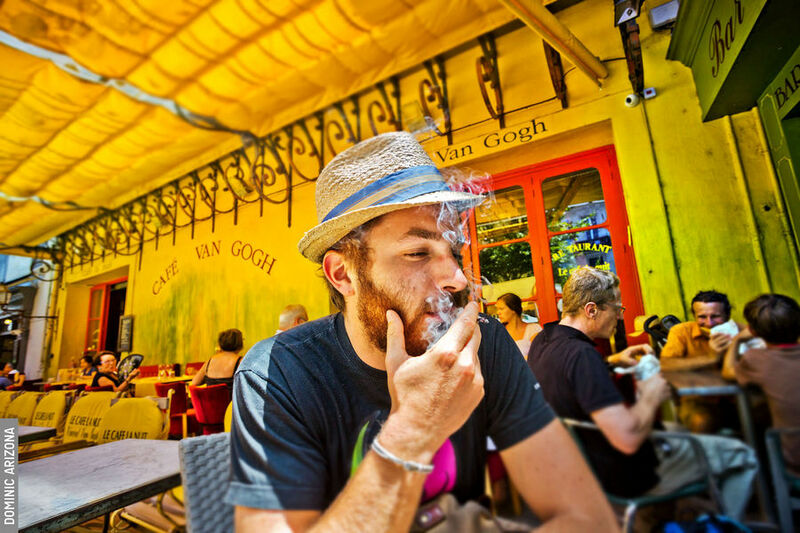 Visiting the French city of Arles, it's easy to absorb Vincent van Gogh's story. In February 1888, the Dutch artist left Paris for Provence. 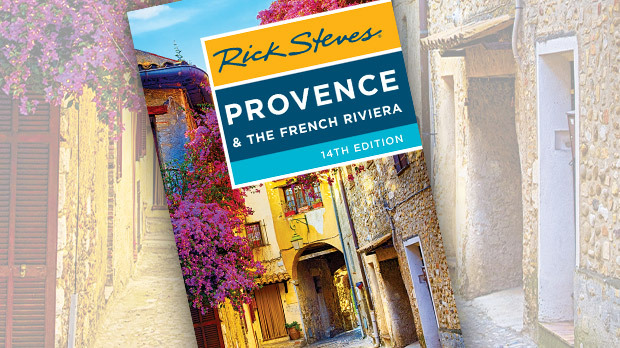 Coming from the gray skies and flat lands of the north, he was bowled over by the sun, bright colors, rugged landscape, and raw people in southern France. He painted furiously for the next two years, cranking out a masterpiece every few days. I begin at the Yellow House easel on the north side of Place Lamartine, where Van Gogh rented a small house (destroyed in 1944). Freezing Arles was buttoned up tight, so he worked inside, painting still lifes and self-portraits — anything to keep his brush moving. In late March, spring finally arrived. Donning his straw hat, Van Gogh set up his easel outdoors and painted blossoming fruit trees, peasants sowing and reaping, and windblown fields, all lit by a brilliant sun. At the Roman Arena, an easel captures Van Gogh's impressions — with the bull barely visible. He spent more time studying the people than watching the bullfights. He also spent many a sunny day painting the leafy Jardin d'Ete, where you'll find an easel that shows Van Gogh's painting of a tree-lined path. In October, lonely Van Gogh — who dreamed of making Arles a magnet for fellow artists — persuaded his friend Paul Gauguin to come. He decorated Gauguin's room with several humble canvases of sunflowers (now some of the world's priciest paintings). Their plan was for Gauguin to be the "dean" of a new art school in Arles, and Van Gogh its instructor-in-chief. At first, the two spent days side by side painting, and hitting bars and brothels at night. Café Terrace at Night, shown on an easel at Place du Forum near Café la Nuit (now an overpriced tourist trap), captures the glow of an absinthe buzz. After two months together, the two artists clashed. The night of December 23, they were drinking absinthe at the café when Van Gogh suddenly went ballistic. He threw his glass at Gauguin. Gauguin left. Walking through Place Victor Hugo, Gauguin heard footsteps behind him and turned to see Van Gogh coming at him, brandishing a razor. Gauguin quickly fled town. The local paper reported what happened next: "At 11:30 p.m., Vincent Vaugogh [sic], painter from Holland, appeared at the brothel at no. 1, asked for Rachel, and gave her his cut-off earlobe, saying, 'Treasure this precious object.' Then he vanished." He woke up the next morning at home with his head wrapped in a bloody towel and his earlobe missing. Was Van Gogh emulating a successful matador, whose prize is cutting off the bull's ear? Van Gogh was admitted into the hospital — today's Espace Van Gogh cultural center. An easel in the courtyard there displays his painting of the garden. Arles' citizens demanded that the mad Dutchman be kept under medical supervision, but he was allowed to leave during the day to paint as therapy. In spring 1889, Van Gogh admitted himself to the St. Paul Monastery and Hospital in St-Rémy-de-Provence. He spent a year there and produced more than 100 paintings. With thick, swirling brushstrokes and surreal colors, he made his placid surroundings throb with restless energy. Today, at the hospital, you can see a replica of his room and studio, plus many scenes he painted in situ — the courtyard, the plane trees, the view out the upstairs window of nearby fields, and the rugged Alpilles mountains. In spring 1890, Van Gogh left Provence to be cared for by a sympathetic doctor north of Paris. On July 27, he wandered into a field and shot himself. He died two days later. His time there was short, but just as Provence influenced Van Gogh's work, Van Gogh made a huge impact on Provence. 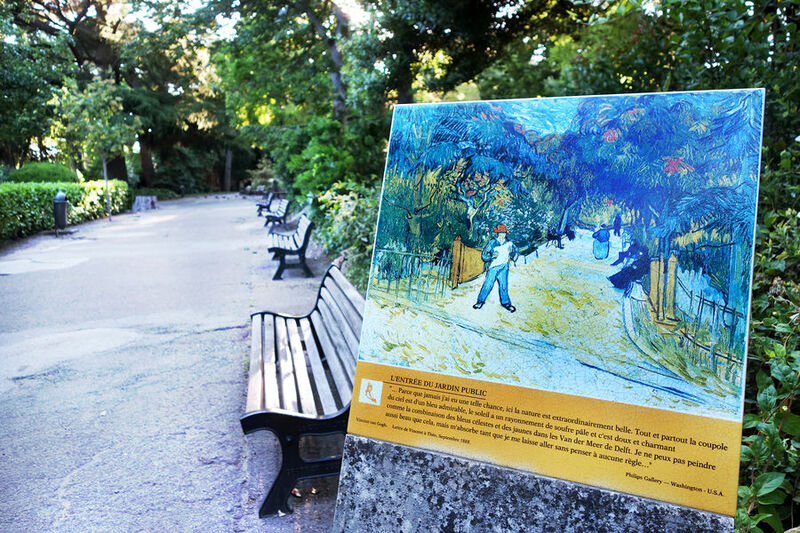 Walk in Van Gogh's footsteps and watch his paintings come to life.